Raising money for the community and charities through our fundraising activities. Community is everything. That’s why Expedient are committed to supporting the entire North East in all kinds of charitable and social ventures. We want to support our region and give back to the wider community by organising and taking part in a wide variety of fundraising events. Throughout the year, we get involved with some of the region’s best-known fundraising efforts which include coffee mornings, Christmas Jumper days and Food Bank donation drives. We’re also preparing for a 26-mile hike along the Northumberland Coast – a challenge we can’t wait to take on! 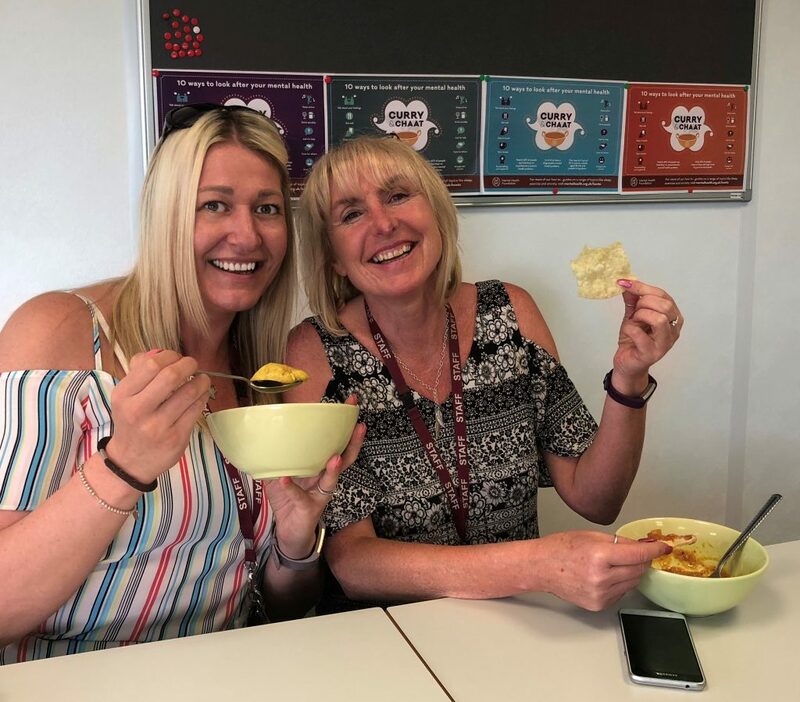 Curry and Chaat was an event that was held for Mental Health Awareness Week between 14th – 20th May 2018, this years focus was on Stress and how that effects individuals. Some of the staff made curry and chilli for everyone who took part. Over the lunch time period we then asked them to complete a small activity. They filled out cards about how stress affects them, then how they overcome it and suggestions on what they think could be done to reduce work based stress. The ideas was to get people talking to each other opening up about stressful situations. How they deal with their own stressful situations could be useful to somebody who hasn’t tried that technique before. Thirteen million people live below the poverty line in the UK, with individuals going hungry every day for a range of reasons including sudden unemployment, unaffordable debt payments and delays in benefits. Food banks provide food for individuals and families in crisis. 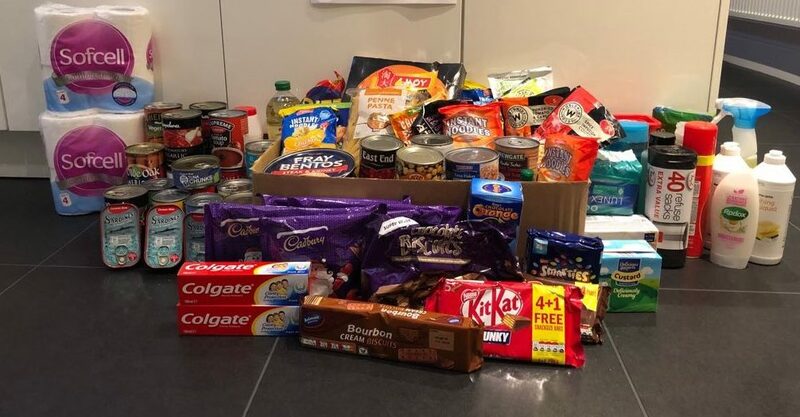 In December 2017, we asked our staff to make some food donations, which we gave to a local foodbank, Living Faith in Jarrow. Our staff made us proud with the amount of food they donated to this excellent cause. 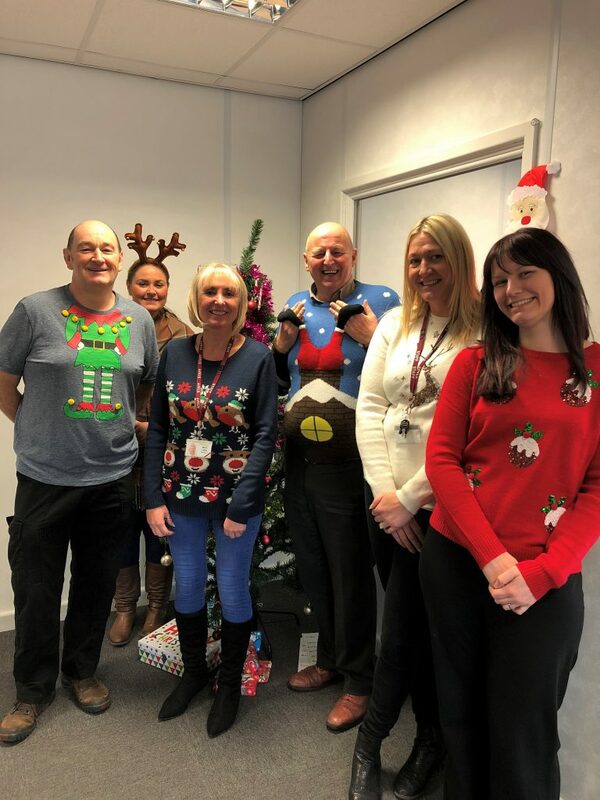 On 11th December 2017, we took part in Jolly Jumper Day to raise money for St. Clare’s Hospice in Jarrow. We all donned our most festive jumpers to raise awareness for the hospice, which looks after people suffering life-limiting illnesses. The fantastic day was a great and lighthearted way to showcase the great work that St. Clare’s Hospice does and our team gladly took to the challenge of wearing our best and brightest jumpers, as you can see from the picture.